Open the file to view the current entry list for Limpsfield. Limpsfield will again be hosting the first UK-Racketball event of the year in the South of the country. This will be the fifth year in a row that the Series has come to Limpsfield and there is a reason why we keep coming back, a lovely club. Last year saw a sell out event at 60 players taking part. 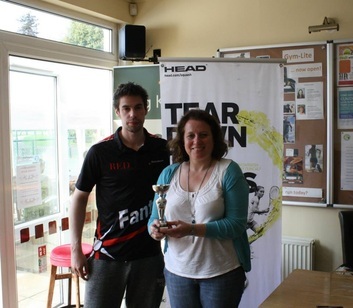 With a proactive committee and thriving Racketball section, the event being held this May is eagerly anticipated. Despite being south of London the club is still relatively easily accessible located just off the M25. Limpsfield is a loverly traditional tennis and squash club with a friendly and welcoming atmosphere and very well maintained facilities. If you can make this tournament it is worth the trip! 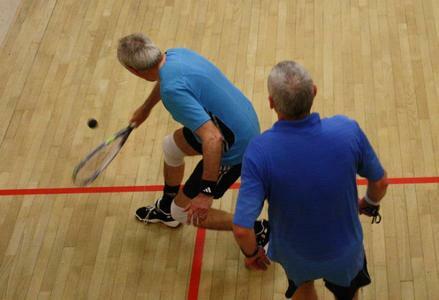 It is important to remember that UK-Racketball Series events are designed to be inclusive. Although the A grade does attract the best racketball players in the country the events really are for players of all ages and abilities. We have never had a competitor who felt they were not good enough for an event in which they have taken part. If you are unsure which category to enter please feel free to contact Mark Fuller directly on 07846 067505 or email us at info@uk-racketball.com and we will be happy to advise you. If entries to a category are not sufficient grades may be merged, however all participants will always be informed in advance and will have a choice if they would still like to play, this has never happened in the last three years. Limpsfield LTC has six squash courts. One has a glass-back and tiered seating for spectators, and the remaining five have viewing galleries. All courts have heating/cooling systems for safe and condensation-free playing conditions. The club also offers table tennis and Badminton and has attractive grounds, a welcoming bar and a large screen TV. Outside they have a large patio area for the competitors to enjoy. Last year the club had a bar menu on offer for the event that was incredibly good value. It included hot meals, pizza’s, jacket potatoes and sandwiches and hopefully it should continue this year. Limpsfield LT&SC is situated in the attractive Surrey village on the Kent/Sussex borders on the outskirts of Oxted and is easily assessable via the M25. 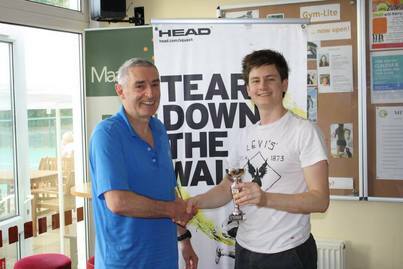 The Limpsfield Racketball Open has run successfully for 4 years now. Follow the links below to see what happened.